There were several waterfalls along the hike. 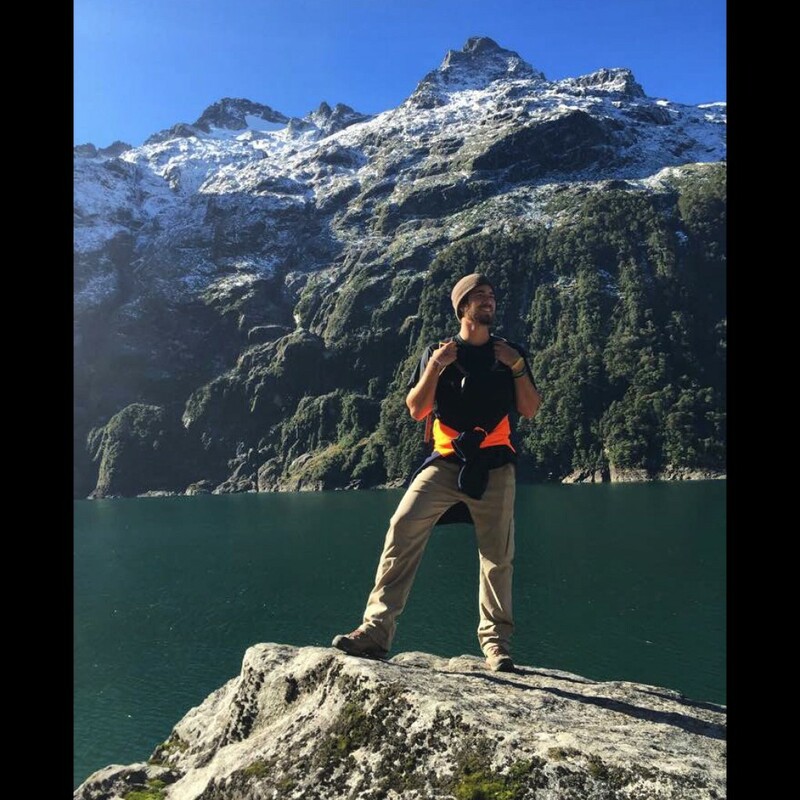 When I first arrived in New Zealand, the weather was consistently warm, with temperatures rarely getting below 75 degrees. Now, winter has come and the weather has definitely been cooler. The leaves are changing and the sky is cloudy more often. Even so, the weather has still been quite enjoyable. The last couple of weekends have been quite rainy, however. The rain kept us in our apartments for a lot of nights and we were becoming restless. As usual, we just wanted to get out of the city and explore the country! 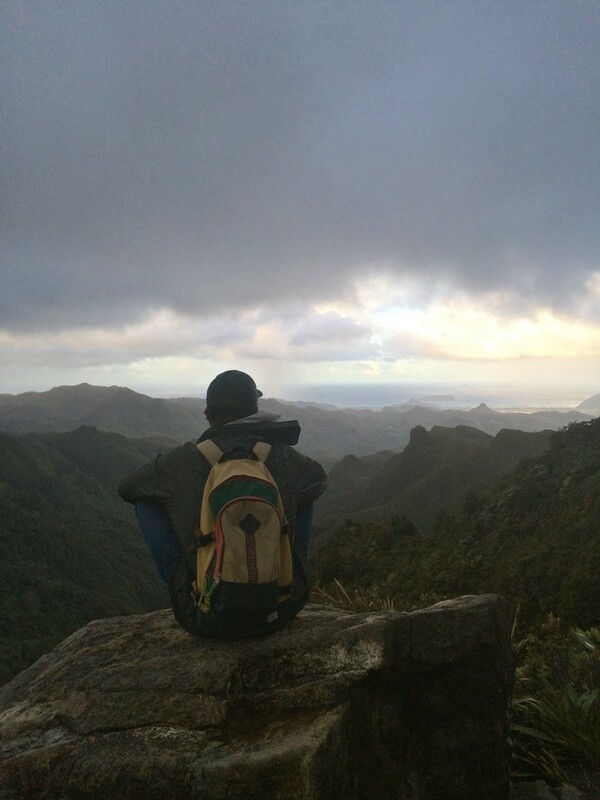 So, on a random Sunday morning, my friend Marc and I impulsively decided to make a trip out to The Pinnacles, a stunning mountain range in the Coromandel Forest Park. We arrived at the base of the trail and the weather was beautiful, with only a few clouds in the sky. We started the hike into the forest and I knew right away we were in for a treat. 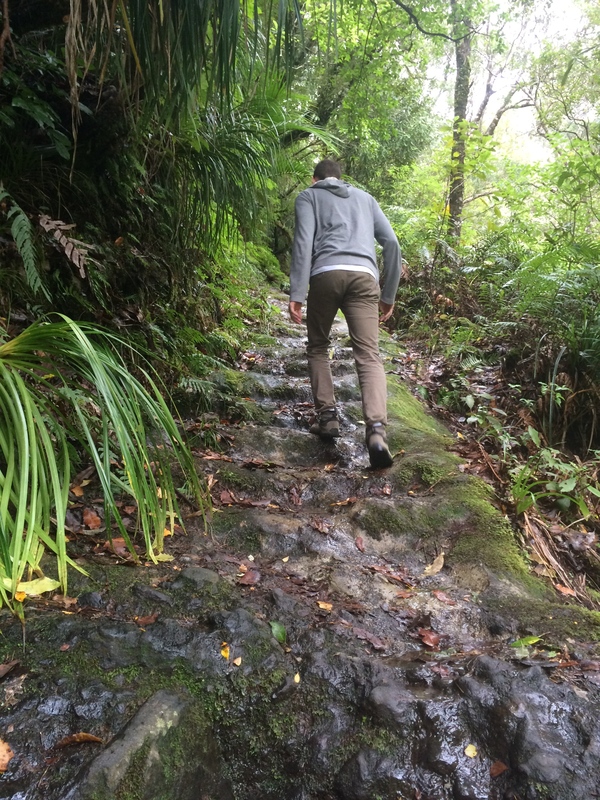 The people who created the Pinnacles track carved into the mountainside what they call ‘the rock stair’, which is exactly as it sounds — a staircase made out of rock. Once we finished the rock stair, we reached the summit of The Pinnacles. We had to climb metal poles that were fastened into the rocks to reach the very top of the summit. 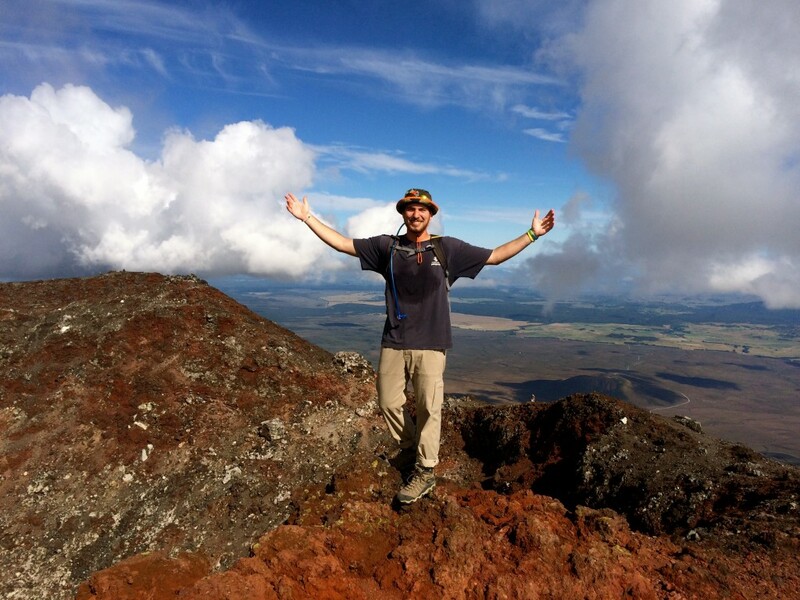 Once we reached the top, we could see the many tree-covered peaks that lead to the Pacific Ocean on the horizon. 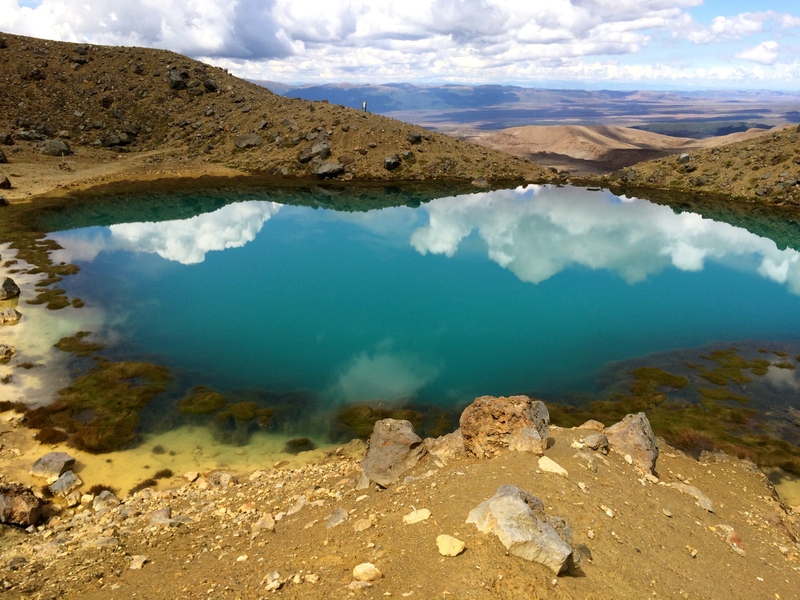 It was one of the most jaw-dropping views I have seen in the North Island. Such a beautiful view from the top of Lion Rock at Piha Beach. Over the last couple of weeks, I have been busy with essays and other tedious assignments for my courses. It hasn’t been easy balancing all of my school work with travel and adventures. I decided to buckle down and limit my travels to short day trips outside of the city for the last two weekends. 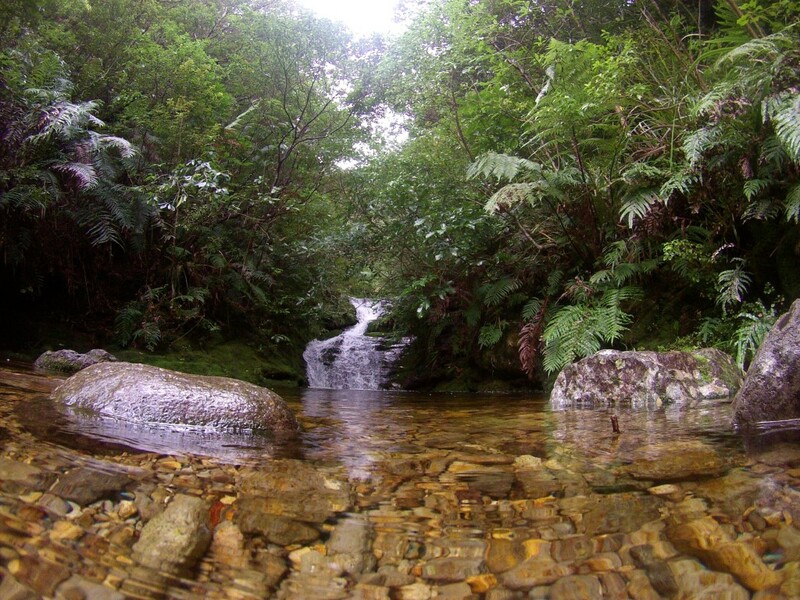 I was under the impression that most of the natural beauty in New Zealand was quite some distance from the city. Little did I know, West Auckland is home to some of the most beautiful beaches that I have ever seen. 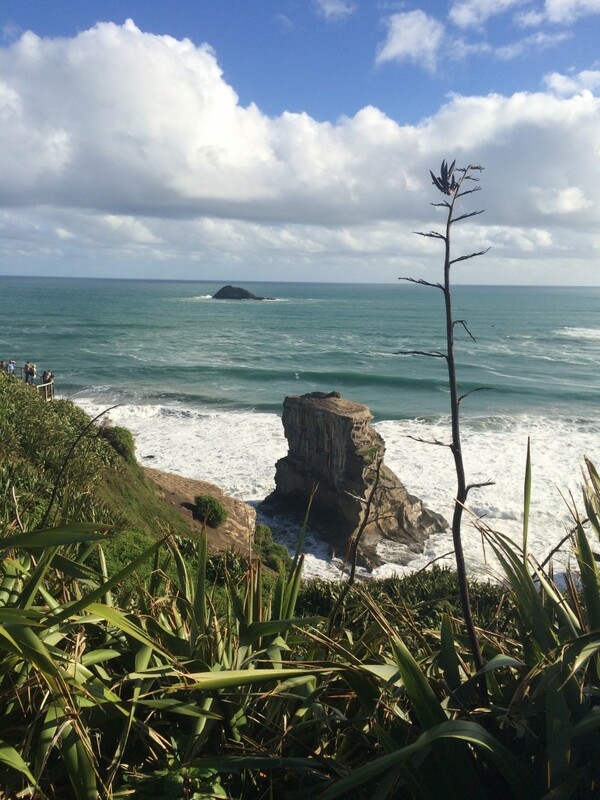 One day we drove out to Muriwai Beach, where the cliffs overlook the Tasman Sea. The beach was only 30 minutes from the city, yet it felt like I was hundreds of miles away from urban civilization. Another short trip outside the city that I have had the pleasure of doing a couple of times now is Piha Beach. 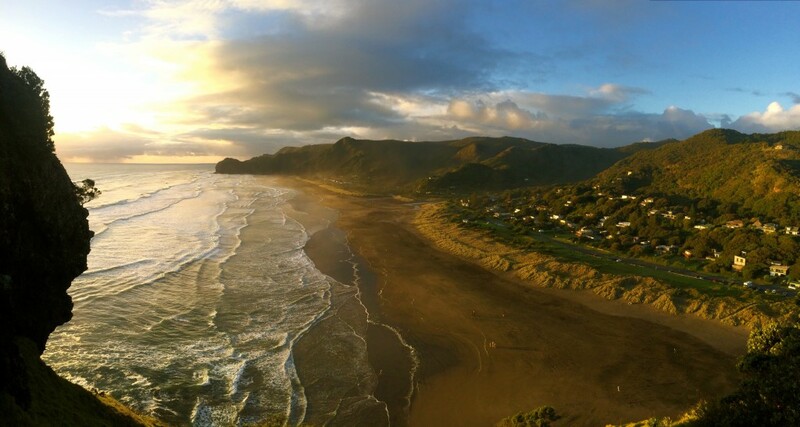 Piha is on Auckland’s west coast as well, roughly 20 minutes south of Muriwai. The beach just so happens to be the birthplace of surfing in New Zealand. I have been lucky enough to be able to surf there and although the tide is wildly strong, it is an absolute blast. I am finding myself to be continually amazed by the beauty of this country. Even right outside the city, there are some great finds. The surf at Piha. The waves may look small, but they were vicious! 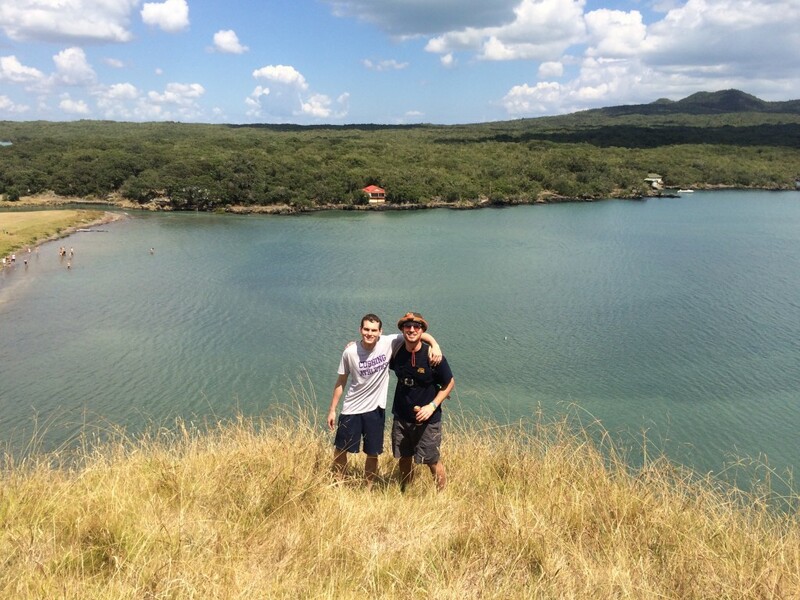 My friend Marc and I toward the end of our tramp around Rangitoto. The volcano can be seen in the background. 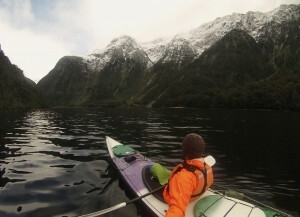 This past week has opened my eyes to more of the natural beauty New Zealand has to offer. It’s no wonder why Kiwis have been calling it God’s Own Country, or Godzone, for over 100 years. A few days ago, a large group of us planned a day trip out to Rangitoto Island to climb the youngest volcano in New Zeland, which emerged from the water roughly 600 years ago. We took the twenty-minute ferry ride over to the base of the volcano. It was only a few kilometers to the summit, but it sure was tiring. The elevation increased hundreds of meters by the time we reached the top. The views at the summit were remarkable, but as many people say, pictures do not give this beautiful country justice. If you are spending time on the North Island, be sure to add Rangitoto Island to your itinerary. 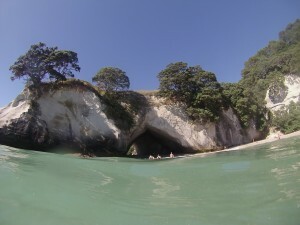 Cathedral Cove from the water. After experiencing Rangitoto’s sheer beauty, I had a strong desire to quickly experience more of what the North Island had to offer. With this in mind, we decided to venture around the Firth of Thames and on up to the Coromandel Peninsula. 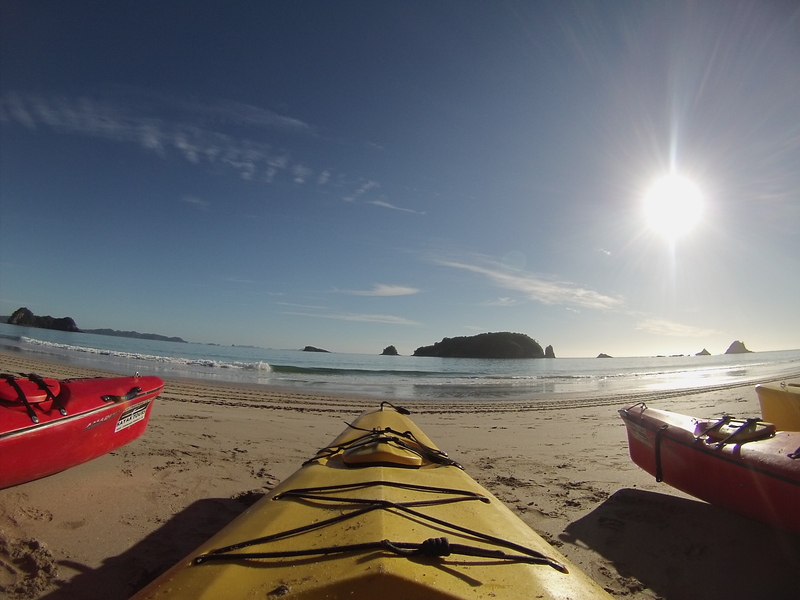 Supposedly, the best way to experience the Coromandel is via kayaking. Considering this, a group of us scheduled a three-hour kayak tour in Cathedral Cove and it was the most enjoyable three hours I have experienced in New Zealand. This area is home to many scenes from “The Chronicles of Narnia” movies! The water was as clear and smooth as glass. 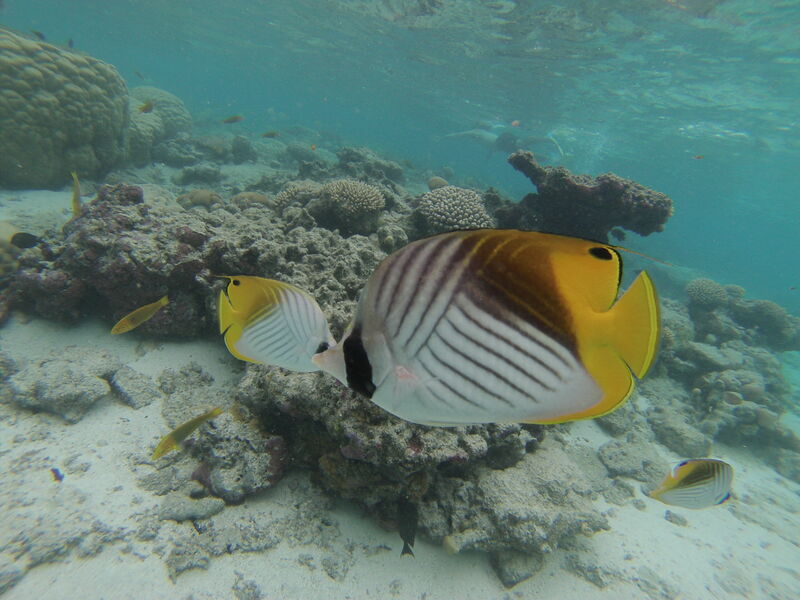 There was one point where we were kayaking in 50-feet-deep waters and the ocean floor could be seen clearly. 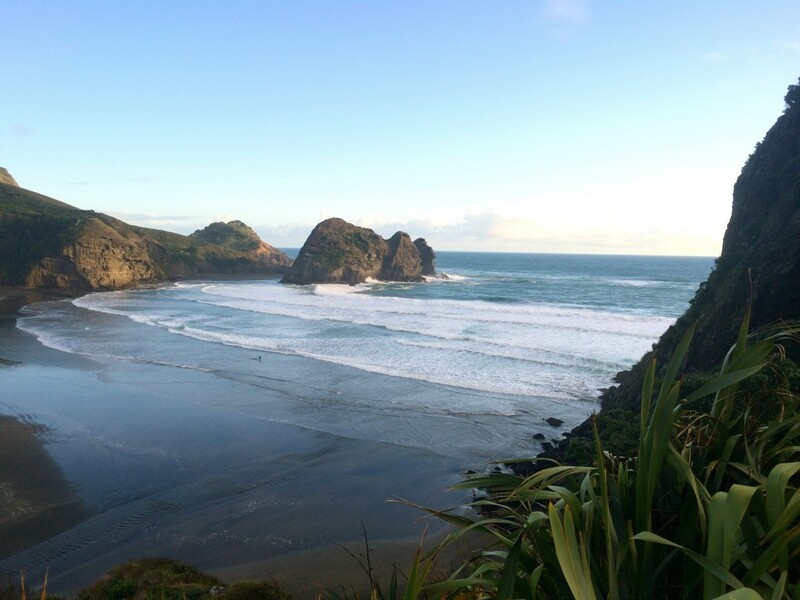 The tour was located on the Hahei Nature Reserve where fishing isn’t allowed and nothing can be taken from its beaches or waters. This resulted in some remarkable marine life. Following these two trips, I was extremely drained but so deeply satisfied with what I had seen and learned. Bright and early kayaking in the Coromandel. One of my favorite aspects about NZ – the islands scattered throughout the water. Beautiful scenery and incredible wine at Cable Bay Winery in Waiheke Island. Justin Timberlake hosted a party here recently! 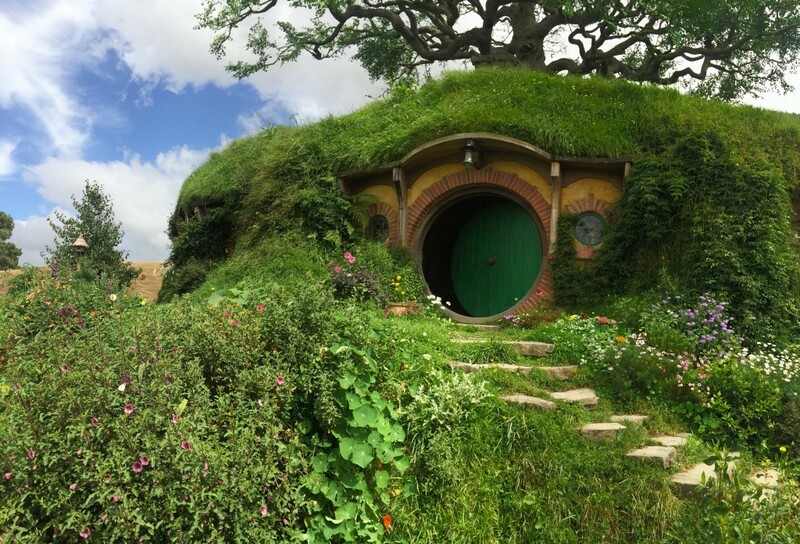 I have been in Middle-earth for a few days now and I have already fallen madly in love. I am convinced there is no city comparable to Auckland. One minute you’re walking down Queen Street (similar to Michigan Avenue in Chicago I’d say) and then the next you’re at the ferry port overlooking dozens of islands scattered across the horizon. New Zealand is truly remarkable. 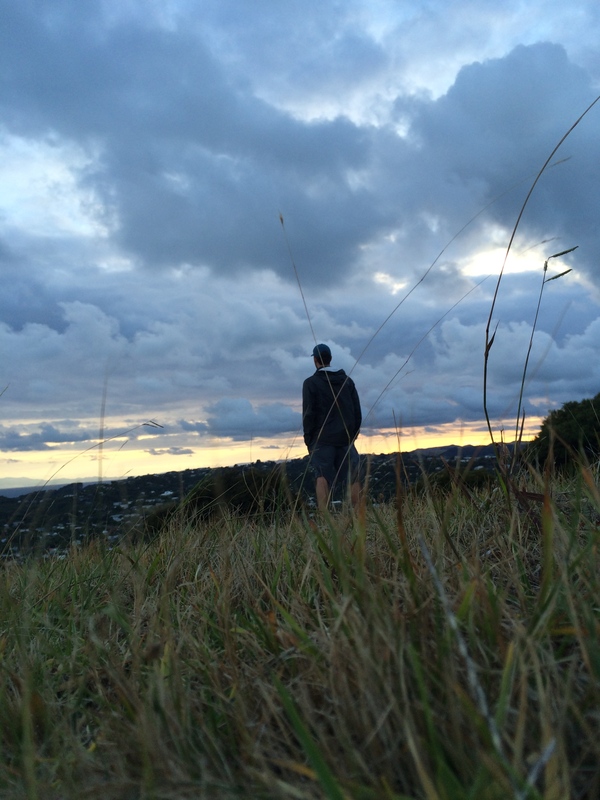 Woke up at 6:00 a.m. on the last day on Waiheke Island. Climbed some big hills for a jaw-dropping view. Adjusting to the cultural differences hasn’t been too challenging. Adjusting to 75 and sunny everyday hasn’t been too challenging either! Every day I wander the city and find new things to do. The Auckland Domain is located directly behind my apartment and it is the oldest park in the city. There is delicious, fresh sushi all over the city. The ferry rates are fairly priced (unlike everything else in Auckland) and it will take you to islands all over the region. 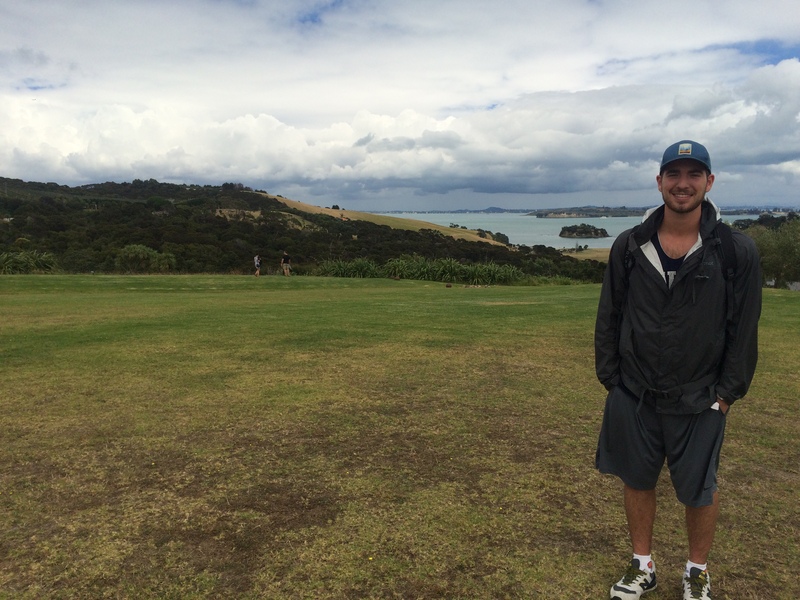 For orientation with IES, our study abroad provider, we had a two day trip to Waiheke Island. 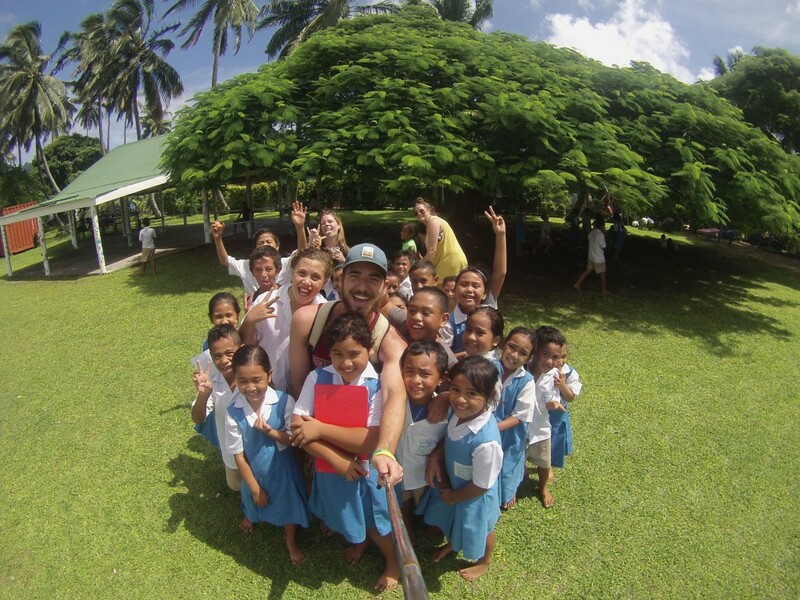 We were welcomed by Maori men and women, the indigenous people of New Zealand. Throughout the trip we explored the island, kayaked around the bay, ate delicious food, drank ridiculously priced beer at a local pub, and more! It was a perfect way to kick off my time in New Zealand! 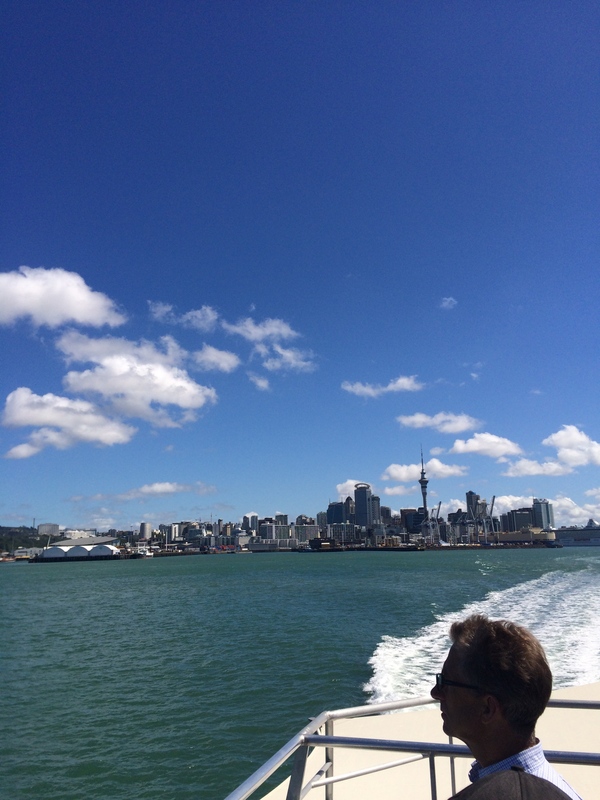 Ferry ride from downtown Auckland to a place called Davenport. Great beaches over there!